Contents:	. "You xue qiong lin" gu shi = Tales from the Children's knowledge treasury -- . "Bai jia xing" gu shi = Tales from the Hundreds of surnames -- . 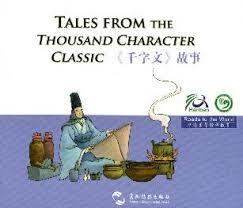 "QIan zi wen" gu shi = Tales from the Thousand character classic -- . "San zi jing" gu shi = Tales from the Three character classic. In Mandarin or English with Chinese and English subtitles.